Good News! Silkstream’s website will be up and running very soon. Our delivery area for this product is an approximate 28 mile radius of Potton near Sandy, Bedfordshire. Deliveries are normally between the hours 10.30am and 7.00pm Monday to Saturday within 12 working days of placing an order. Aquasol briquettes (salt tablets) are formed by roll-compacting pure dried vacuum salt extracted from food-grade product which ensures purity and quality. The carefully controlled compacting process produces hard, porous briquettes which rapidly dissolve to produce high quality brine. 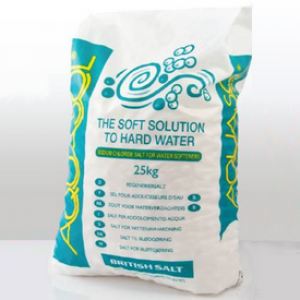 Aquasol salt briquettes comply with BS EN 973:2009, the internationally recognised specification for salt used in water treatment applications. The above price includes delivery and VAT. Copyright © Silkstream. All Rights Reserved.